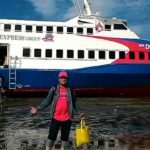 The 38 meter long, 259 dwt high speed ferry Dumai Line 3 ran aground in the Malacca Strait off Pulau Pedang Island, Indonesia. 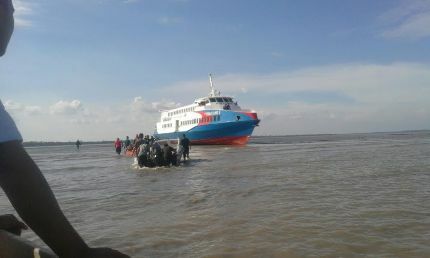 The Dumai Line 3 was headed to Dumai from Pulau Sambu when it suffered engine failure and power blackout. The ferry drifted until it grounded in the sand just off the beach. 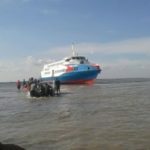 Passengers were safely transferred off the ferry and taken ashore. Divers will inspect the hull before salvage will refloat the ferry on the next high tide. No reports of injuries, damage or pollution released. Authorities have launched an investigation into the incident.